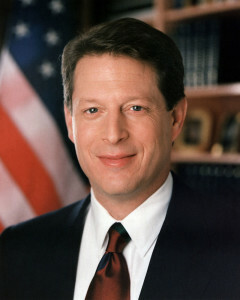 Gore was vice president under Bill Clinton (1993–2001) and, before that, a Tennessee representative and senator. In 2000, he out-tallied Republican George W. Bush in the popular vote for president of the United States, but in a hotly disputed election affected by a Supreme Court ruling, he was defeated in the Electoral College. A longtime champion of environmental causes, Gore emerged in the first decade of the 21st century with a mission to raise the awareness of the dangers posed by global warming.